Photographer Chayne Walls’ award-winning work will by exhibited by the Festival of Arts this summer. 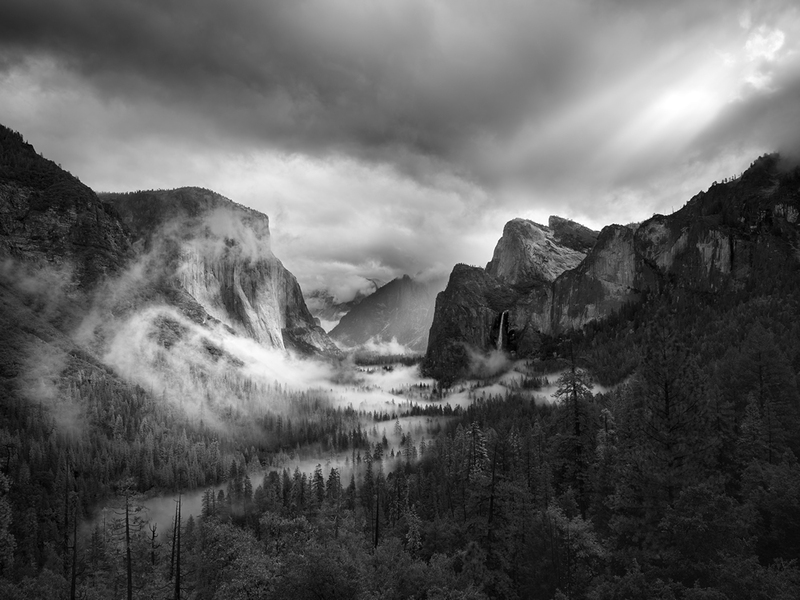 A foggy mist rises from the ground in patches and tentacles as sunrays penetrate cloud cover to enter the majestic Yosemite Valley, a background of timeless splendor. So unfolded an Ansel Adams-type vista that Laguna Beach photographer Cheyne Walls captured and parlayed into winning international acclaim. The camping and photo-shooting trip through Yosemite Valley last October started out less than ideally as Walls patiently spent hours encased in his Subaru pounded by torrents of rain. And then came the glimmer of sun, providing the kind of light and ambience that generations of photographers have patiently pursued. “I nearly missed that shot. I started removing the waterproof cover of my camera, and there came the sun,” he recalled. His assertion that patience and speed are a photographer’s most useful traits proved no exaggeration. After a five-year hiatus, Walls looks forward to once again exhibiting his award-winning still and other black and white and color landscape photographs at this year’s Festival of Arts, but the immediate excitement stems from a trip to Asturias, Spain, in May. 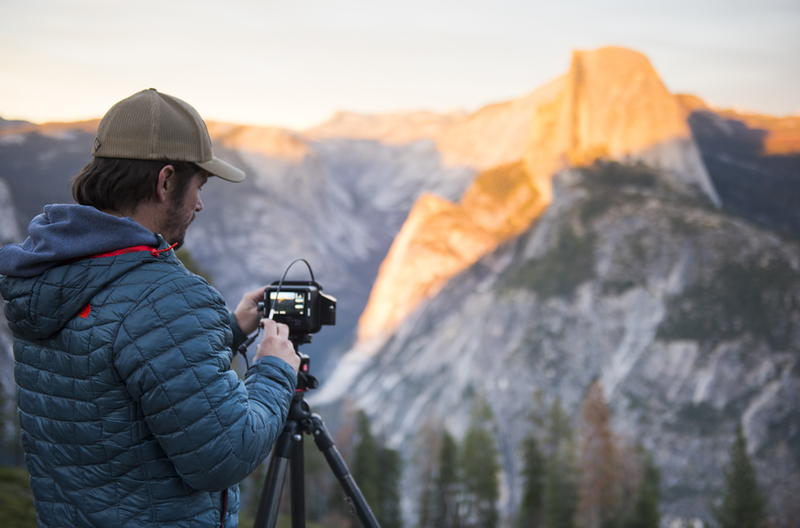 For gear heads, Walls uses an Alpa A-Series W/1Q150 Phase One Digital Back camera, which accompanied him on that successful Yosemite shoot. Photographer Cheyne Walls at work. Colleagues and fellow FoA exhibitors Tom Lamb and Robert Hansen credit him with using his tools to best effect. Walls said that most of the composing work is done right in the camera with minimal software enhancements afterwards. All three pointed to a resurgence of photography collecting and a pronounced interest among photography students to learn their craft from the ground up. That includes a return to film. “It’s fascinating to me to see images materialize in the darkroom. There is a huge range of work that people have forgotten about, and even Kodak is beginning to produce film again,” he said. Walls’ website notes he also uses a Hasselblad film camera. Walls, who grew up in Dana Point, lives in Irvine and keeps a studio in Laguna Canyon. He also frequently travels to Los Angeles where he follows an earlier calling, photographing cars for automakers. “I’ve spent my early years working for Motor Trend magazine before I found my passion for travel and nature photography,” he recalled. Walls, 34, attended Dana Point High School and hoped to earn a baseball scholarship for college, but a field injury scotched that dream. Confined to a wheelchair for a time, he began fiddling around with his father’s old camera and a new ambition was born. “My father was an amateur photographer and I inherited his love of travel,” he recalled. After graduating from the Brooks Institute of Photography in Santa Barbara, as did Hansen, he landed a job at Motor Trend. At 24, he backpacked his way through Europe where he fell in love with photographing nature. When he returned, BMWs and Ferraris in his lens finder gave way to the mountains and streams, oceans and deserts of the American West and Hawaii.